Jane Anson of Decanter is fresh off the superyachts of France's Côte d'Azur with tales of the tastes of today's luxury boat owners and how staff scour Europe for rare bottles. The Odessa II rises a good 18 meters in front of us, five gleaming white and chrome decks high, towering above the quayside at Port Vauban in Antibes. We are in the private section of the harbour here, reserved for the largest and most exclusive superyachts. The port has recently upped its security, with gates and checkpoints to walk through before getting to this quiet section where only thick ropes and the odd parked-up Range River interrupts your view of the sparkling Mediterranean. 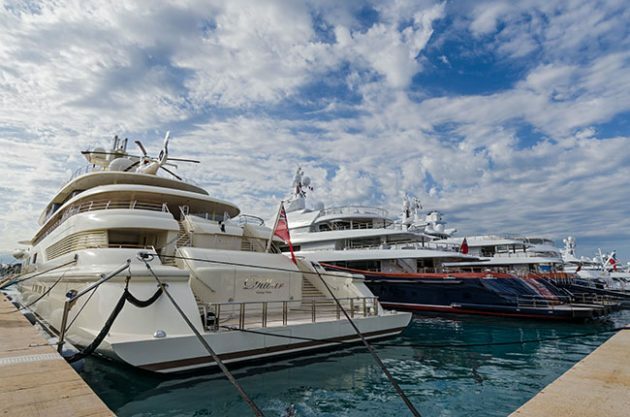 Five yachts are berthed in a line, each at least 70m long, worth from €100 million apiece. Oh, and add to that yearly running costs in the region of €10 million. Antibes at sunset. There are worse places to park a multi-million euro yacht. Credit: Alamy / Juergen Schonnop. This is the largest and deepest harbour in the Mediterranean, dating back to before the Holy Roman Empire, and the berth alone sets yacht owners back at least €1 million. I’m here with the team of Onshore Cellars, wine suppliers to the yachting industry. Ed Dunnett, owner along with his Australian wife Jessica, is showing me around the yachts that he spent six years working aboard as deckhand before working up to 2nd officer. Ed, Jessica and Rosie (plus Jack the dog) from the Onshore Cellars team. Credit: Jane Anson. Both he and Jessica worked aboard the 71 meter Skat, owned by one of the chief developers of Microsoft Office who is today worth US$2 billion. The yacht has its own Wikipedia entry. ‘It was when we were working on Skat that I really understood how frustrating it was getting the wine deliveries right,’ Jessica tells me. She still works half the year as ‘chief stew’, as they call the chief steward or stewardess (‘sounds equal, but it’s invariably a woman’ she admits) on a boat that never docks and spends its year cruising from Europe to the Caribbean and back again. Onshore Cellars is unusual for having two ex-crew from the industry as its owners. It’s a lucrative niche in the wine industry, as you’d expect, but it requires extensive knowledge not just of wines but of the logistics very specific to these mega yachts and their super wealthy, super demanding owners. ‘You have to provision often hard-to-find wines wherever the boat is, and often at extremely short notice,’ says Jess. Luxury yacht owners expect ‘seven star service’. Credit: Alamy. ‘You can’t get the delivery slot wrong as they have limited time. And you have to understand that if an owner asks for something, it’s the chief stew’s neck on the line to get it for them, whether it’s fresh fish or a bottle of DRC 2010. They expect a seven-star service. People can lose their job very quickly in this industry’. Summer 2017 in the Med, and it’s Champagne and rosé that account for at least 50% of requests. Italian wine is next. The names that keep coming up are Bollinger rosé, Cristal, Moët Ice, Domaine d’Ott, Garrus. And Tignanello, the latest Super Tuscan star according to Ed’s order books. ‘We haven’t sent a single delivery out all year without at least a bottle of Tig in there’. ‘Moët NV and Veuve Cliquot NV are popular for parties onboard during big events like the Monaco Grand Prix or Cannes film festival,’ says Ed, ‘but less so for private charters. ‘Magnums are not a big sell surprisingly because of storage issues. And unusual bottle shapes like Miraval [the wine owned by Brad Pitt and Angelina Jolie] pose a problem’. Onshore Cellars’ wine expertise comes care of Rod Smith MW, who used to work for rival company, and the granddaddy of these wine-for-yachts outfits, Vins Sans Frontières(VSF). And as of a few months ago, Rosie Clarkson has come on board (pun frankly unavoidable) from Armit Wines in London. ‘We saw a gap in the market,’ says Ed, who left full-time crewing three years ago. ‘Not just to improve on the branding that is hugely old fashioned for most of the companies out there, but also to improve the way crews think about wine provisioning. Yachts’ provision sheet are often set when the owner buys the ship, and are not updated often enough. ‘The lines of communication are often difficult because everyone is worried about upsetting the boss. And even if they know what he likes, the wine is usually ordered on a yearly basis at the last minute, incurring a huge margin for the logistics of bringing it in. ‘We want to help with buying in advance and storing, and in collecting unused wine at end of each charter and storing it til the next one. ‘If the crew is given wine by charter guests, as they often are, we will offer storage facilities for them, and operate an internal trading system allowing them to sell it on within our network. ‘At the same time we are offering wine education courses to crew and others.  And trying to expand the list beyond the always-repeated names – so introducing high end Australian like Henschke, and Sauvignon Blanc beyond Cloudy Bay’. To make this happen, they are this month opening an office, wine cellar and education centre in downtown Antibes, a few steps from the port. With attractive exposed stone walls and wooden ceiling beams at the front, coupled with a vast storage area at the back, the building used to be the Antibes city archives, and they have taken a nine year lease. Ed is converting and upgrading the old archive space, with its thick walls and temperature control, to an area that will hold around 100,000 bottles. If they can achieve this, it will make them one of the few true competitors to VSF, that currently has 52,000 bottles in stock and is the only name in yacht provisioning able to offer, for example, multiple vintages of Petrus, Cheval Blanc and the other highly sought after names from their own stock, bought during en primeur, and ready for immediate delivery. Most companies courier in the wines from elsewhere, with inevitable questions over provenance. But where VSF is a long-established, professional operation run by ex-City trader Paul Mottershaw with bases in five locations worldwide, Onshore Cellars gives off a much more relaxed vibe. All four of them look like they’d be perfectly at home still working the yachting season, in sunglasses, summer dresses and shorts. They might be selling millions of euros of wine but they are a million miles away from a Mayfair merchant. But that doesn’t mean they aren’t expected to behave like St James’ finest. This week Rosie had 12 hours to source a 2012 Benjamin Leroux Chambertin Grand Cru with, as ever, the pressure of a tight berthing window on the Italian Riviera and a Chief Stew facing a yacht owner who didn’t want to hear about any difficulty. ‘On Wine-Searcher there was one bottle in Austria,’ she says, ‘and I could find one in London but a different vintage. Eventually I tracked down a bottle in Naples and got it to them for their evening supper’. Another crisis averted for the super rich wine lover.